The classic freewheeling look at race relations through the ages. Mumbo Jumbo is Ishmael Reed’s brilliantly satiric deconstruction of Western civilization, a racy and uproarious commentary on our society. 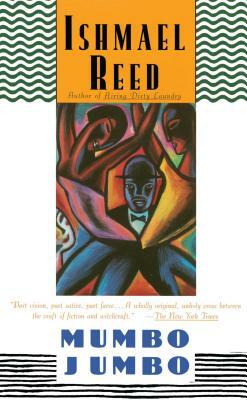 In it, Reed, one of our preeminent African-American authors, mixes portraits of historical figures and fictional characters with sound bites on subjects ranging from ragtime to Greek philosophy. Cited by literary critic Harold Bloom as one of the five hundred most significant books in the Western canon, Mumbo Jumbo is a trenchant and often biting look at black-white relations throughout history, from a keen observer of our culture. Ishmael Reed grew up in working-class neighborhoods in Buffalo, New York. He attended Buffalo public schools and the University of Buffalo. As well as being a novelist, poet, and essayist, he is a songwriter, television producer, publisher, magazine editor, playwright, and founder of the Before Columbus Foundation and There City Cinema, both located in Northern California. He lives in Oakland, California. The New York Times Part vision, part satire,part farce...A wholly original, unholy cross between the craft of fiction and witchcraft. Henry Louis Gates, Jr. Author of Colored people From its title on, Mumbo Jumbo serves as a critique of black and Western literary forms and conventions, and of the complex relationships between the two. The Boston Globe Brilliant, phantasmal, eccentric...A visionary comic myth. The Saturday Review A "HooDoo" thriller, an all-out assault on Western civilization...Reed's best novel. James Baldwin A great writer.